A revolutionary innovation in mortar technology that is formulated with specialty, high-performance ARDEX cements, polymers and microfibers to deliver maximum protection against the harshest weather conditions and provide the highest levels of efflorescence resistance for exterior tile and stone applications. 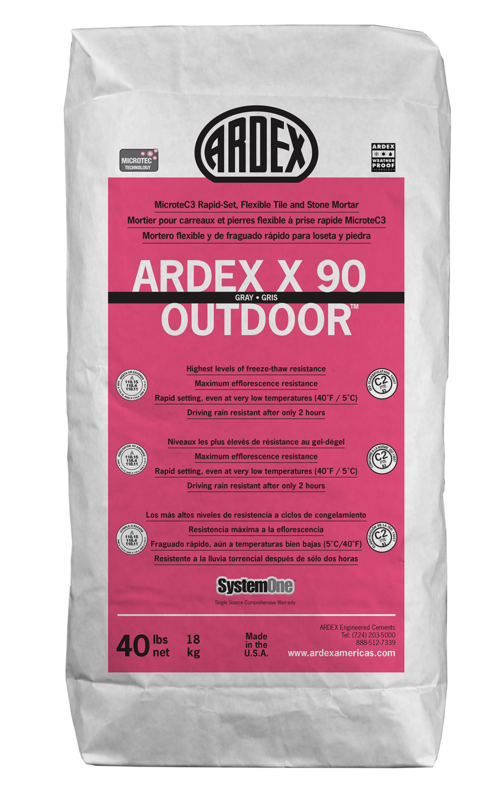 ARDEX X 90 OUTDOOR can be installed over substrates with temperatures as low as 40˚F (5˚C) and can withstand driving rains or be grouted in only 2 hours! 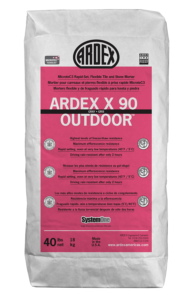 ARDEX MicroteC3 is the new level in mortar standards! Traffic and grout after just 2 hours!